Welcome to the Emerald Coast of Florida! Here you will find information on home sales and real estate listings in Northwest Florida in Destin, Santa Rosa Beach, 30A, Miramar Beach, Watercolor, Watersound, Rosemary Beach, Grayton Beach, Sandestin, Niceville, Bluewater Bay, Navarre, Crestview, Fort Walton Beach, DeFuniak Springs, Shalimar and all areas along our beautiful coast. Wendy can help you list and sell your luxury, waterfront, second home, investment property, townhouse, condo, lot or development land. 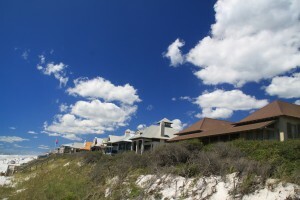 Wendy Rulnick, “It’s Wendy… It’s Sold!” serves the Emerald Coast of Florida. She has been featured in Kiplinger Personal Finance Magazine and Florida Realtor Magazine. Wendy has 29 years of real estate sales experience and has sold hundreds of homes along the Emerald Coast. She has also won an ADDY award for advertising design.